Finding equivalent fractions can be a confusing concept for students. It’s counter-intuitive to change both the numerator AND the denominator, especially if students have been working on composing/ decomposing fractions or adding and subtracting fractions. But to find equivalent fractions (and later, to reduce fractions), we need to change both the numerator and the denominator, and that can be a source of confusion. Helping students understand the difference between adding and subtracting (or composing and decomposing) and doubling or multiplying will make it easier for them to find equivalent fractions. When we add or subtract, we are changing the amount we have- increasing it when we add and decreasing it when we subtract. When we are finding equivalent fractions, we are keeping the exact same amount- and that’s why both the numerator and the denominator need to change- to keep the same amount of fraction. This can be a really abstract concept for kids, but, fortunately, there are ways to make it much more tangible for them! 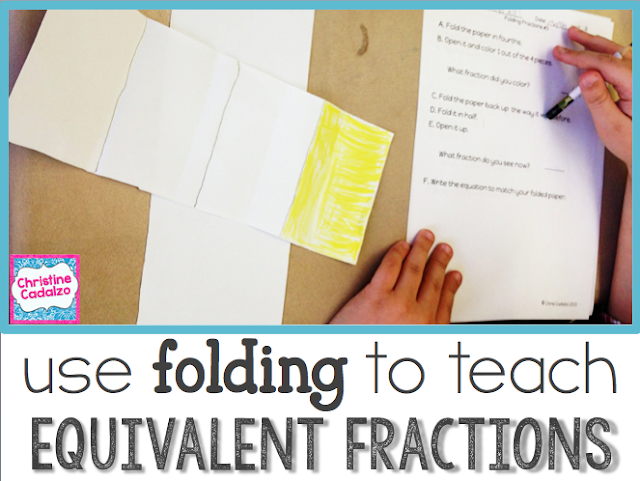 Folding (or cutting) is one of the most concrete ways for students to visualize how equivalent fractions work. This helps them see that it’s still part of the same whole, and that we are not changing the amount of the fraction. 3. Color one half and leave the other half blank. 4. Fold it back in half. 5. NOW, fold it AGAIN, to make fourths. 6. Open it up! Voila! Now it’s clear that the same ½ that was colored is now actually 2 parts (because of the new fold). BUT, where there used to only be 2 total pieces, there are now FOUR. This process makes it easier for kids to see the doubling that is happening when we make equivalent fractions. The numerator (shaded part) is being doubled by folding the paper in half. AND, the denominator (totally pieces) is ALSO being doubled by folding the paper in half. 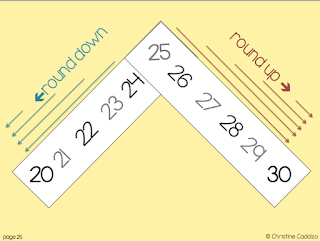 So ½ will become 2/4 because both the top and bottom are doubled. And we didn’t change the are that was shaded, so we know the two fractions are equivalent! PRO tip: Have the students write an equation to match each folding that they do. For the above example, one equation could be: 1/2 x 2/2 = 2/4. This exercise can be repeated over and over until students start to see the how the equivalent fractions are related. 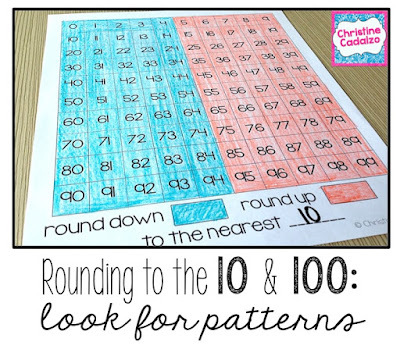 They can even refold papers that are already folded or fold papers in a sequence to make a string of equivalent fractions. Start with doubling (folding in half), then move on to tripling or quadrupling. Have different students work with different sized papers to help them generalize their understandings for different size wholes. Once students have a strong grasp of how equivalent fractions work, it will be much easier for them to add and subtract fractions with unlike denominators, reduce fractions, and convert between improper fractions and mixed numbers. 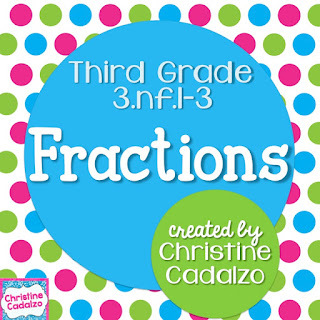 For ready-made, guided discovery folding equivalent fractions lessons, check out my best-selling Third Grade Fraction unit. My very first year teaching, I taught a self-contained special education class of 16 students in a New York City public school. Did you know you can do that with absolutely no experience or qualifications? Yeah…. 3. The underlined number (person with the stick) is the decider. If they are strong enough (5 or higher), they can order the one in the hula hoop to go up to the next digit. If not (0-4), then they cannot do anything. 4. The circled number (person in the hula hoop) does not like being bossed. They get annoyed and turn everyone behind them (to the right) into zeros. 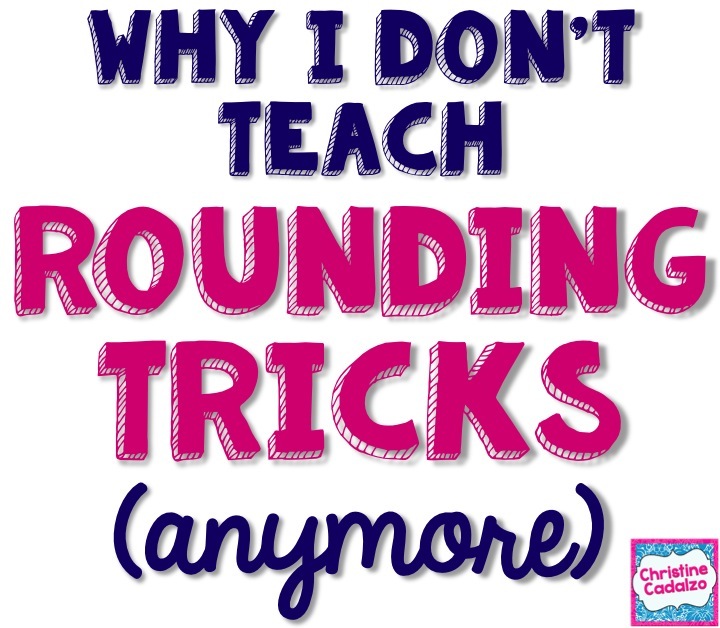 Here's a better idea: I should have helped my students discover rounding patterns so they could generalize and extend their understanding of how the base ten system works. 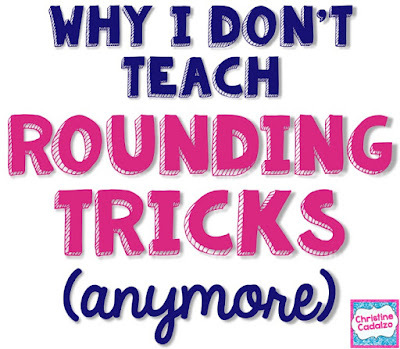 I also should have helped them develop a stronger concept of what rounding actually is, why we use it, and how it works. 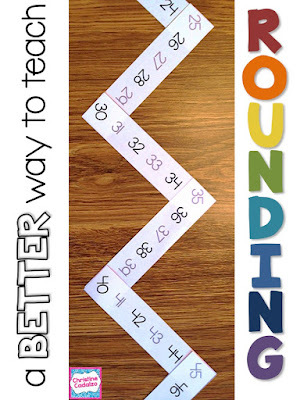 For more ideas on a better way to teach rounding, click here for my rounding unit.